Choosing a wedding suite can seem like a daunting task. 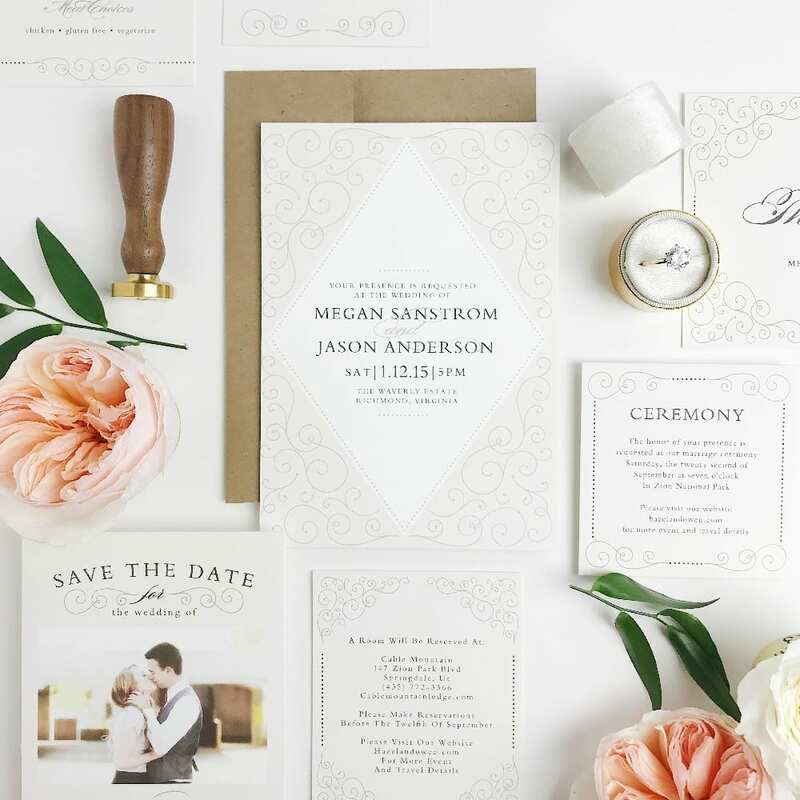 You’ve just finished locking down all the major details and that process can be exhausting, but creating your wedding invitations shouldn’t be. It should be a fun and creative part of the wedding planning process and if you know what you’re looking for in a wedding suite making your invitations will be one of your favorite parts! If you are in the planning stages and still not sure what you want your invites to look like here’s a list curated just for you with the trendiest invitation designs in mind. Illustrated design details will add a visual element to your invitations that guests will adore. 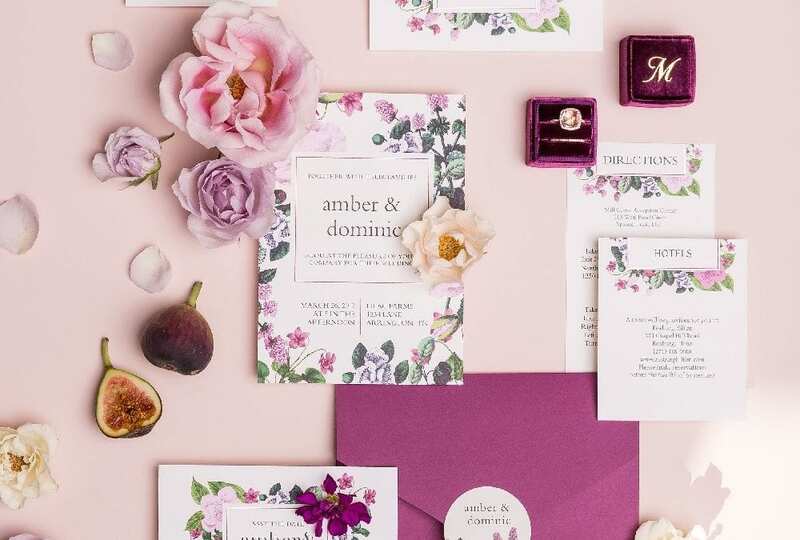 Whether you choose botanicals, leaves, or an invite featuring a cute drawing that matches your wedding theme illustrated design details add personality and a charming component. Utilize your wedding colors by adding a pop of pigment that will match the color scheme of your special day. Your colors might be soft and sweet or they may be bright and bold. Either way, adding color adds a layer of dimension that will make your invitations stand out. Think about the time of year you’re getting married and incorporate that into your design. It’s a simple trick if you’re struggling with choices. Opt for the obvious, floral for spring and summer, rustic leafy looks for fall, and foil confetti or snowflake designs for winter. Choosing a traditional black and white calligraphy invitation is also a classic choice. Whatever road you go down, check out Basic Invite for truly custom wedding invitations made to order.